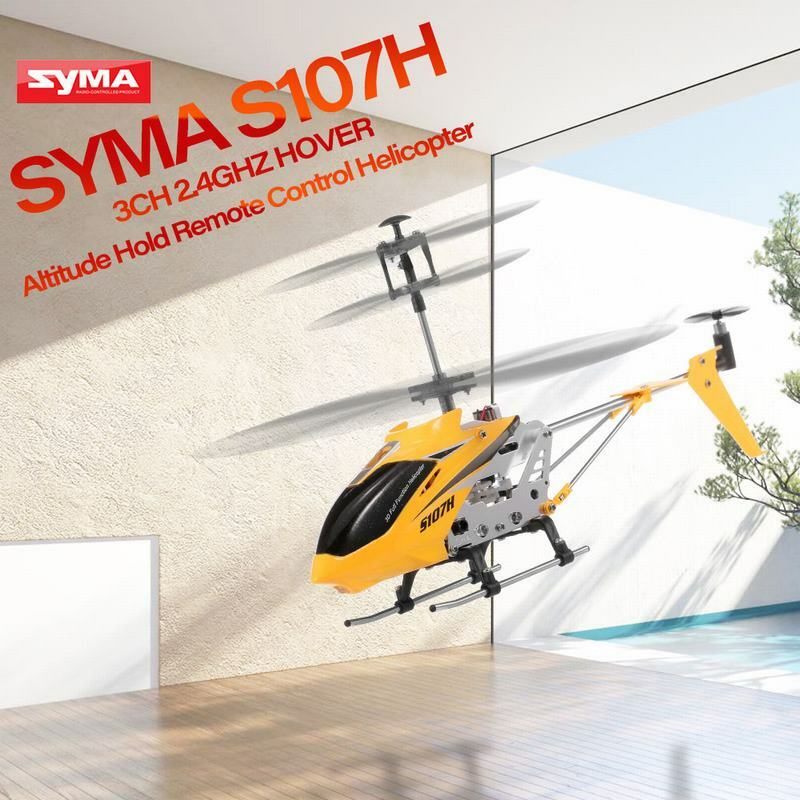 This is Syma new family member of helicopters. It&apos;s S107H, made of aluminium alloy material, strong and durable in performance. 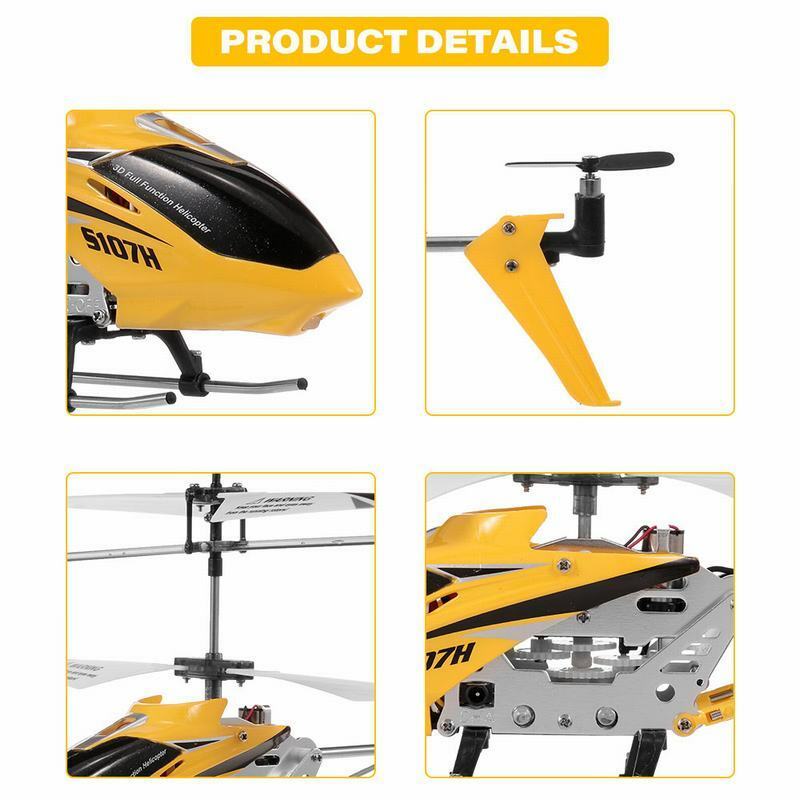 The most amazing feature is that the hover function, which is more stable and convenient to operate for rc fans, especially new beginners. 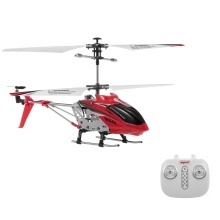 Functions: 3 Channel, go up and down, forward and backward, turn right and left, altitude hold. 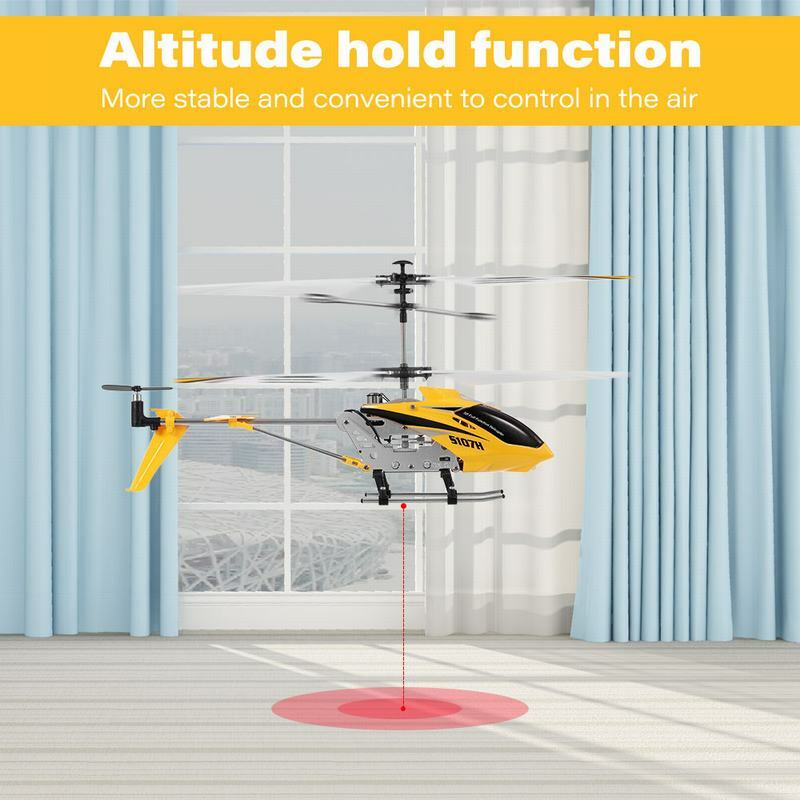 Altitude hold function: more stable and convenient to control in the air. 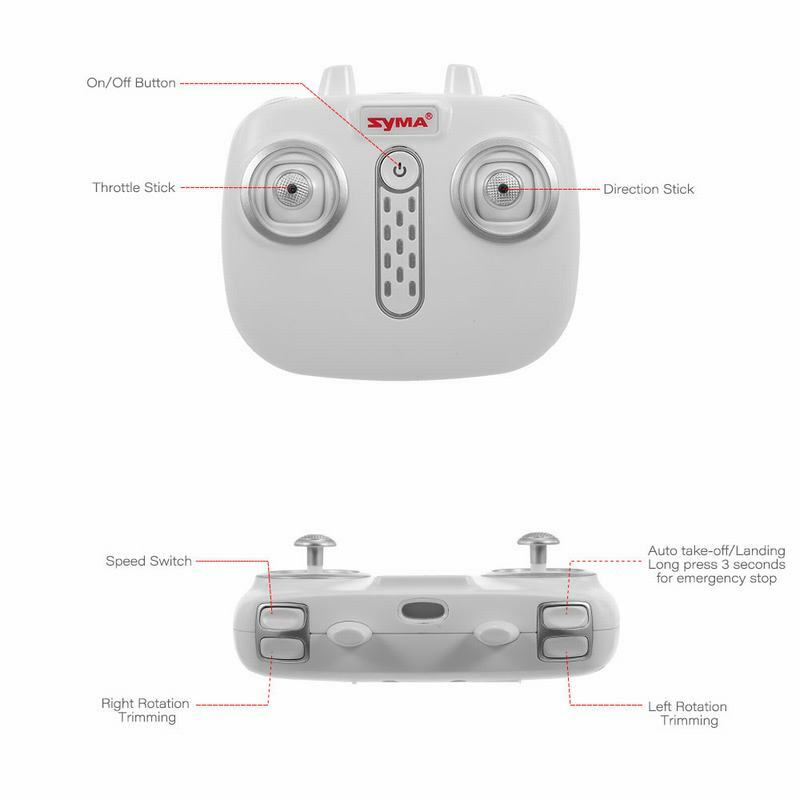 Built-in lipo battery, can fly 5~7 minutes after charging for 50~60 minutes. 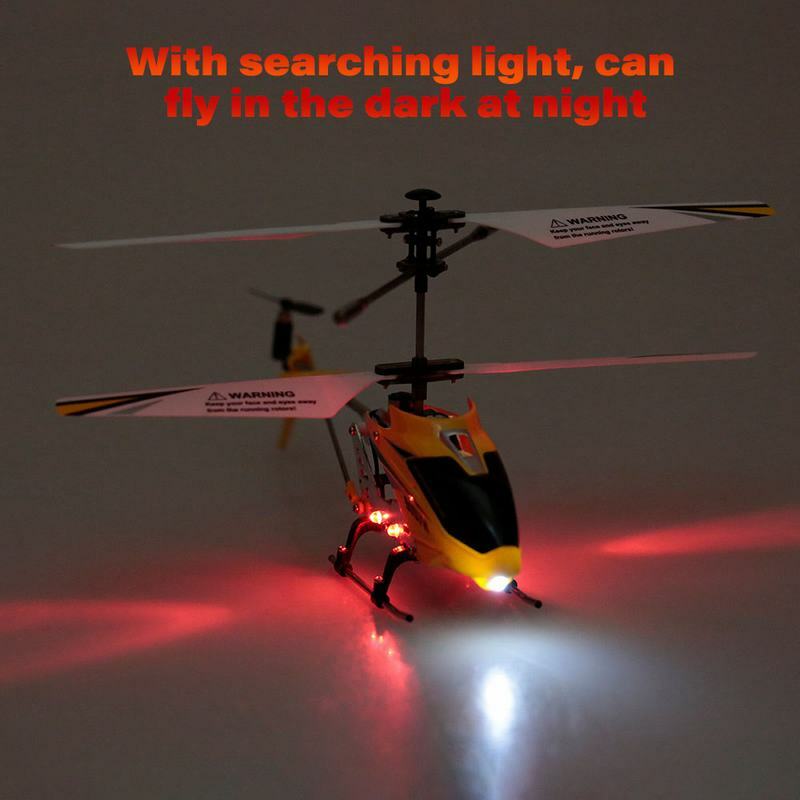 With searching light, can fly in the dark at night. 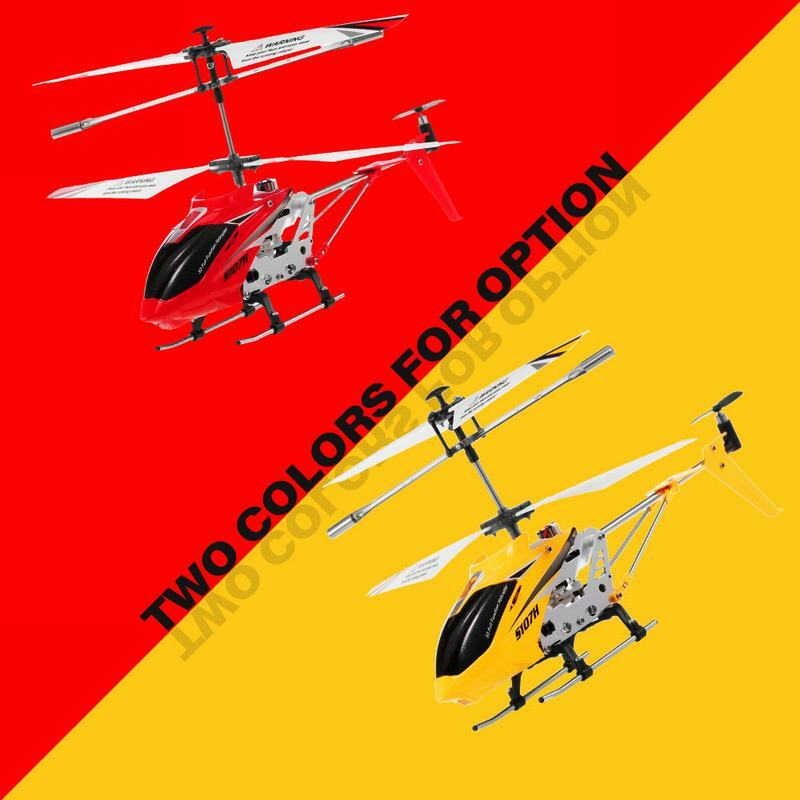 * Do not continue flying over 3-4 times without taking a break, which is no good for the life of the helicopter.